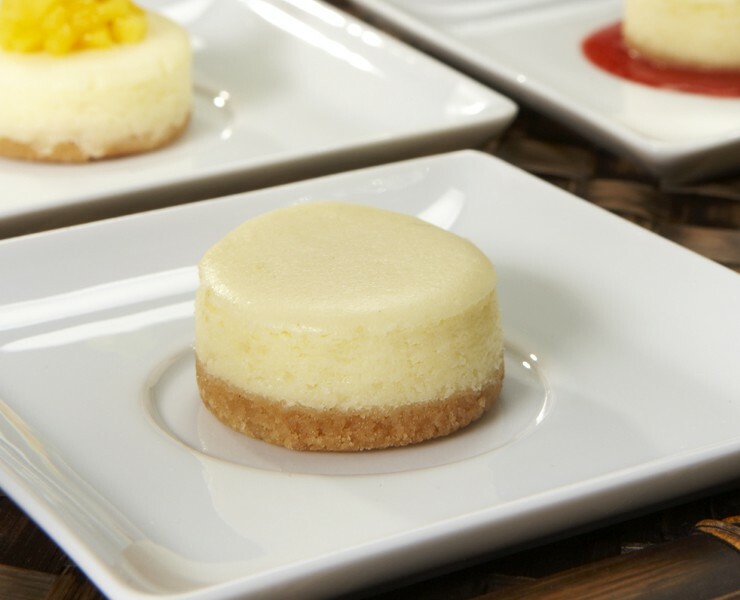 Traditional baked New York cheesecake flavor! Heavy cream, lightly folded eggs, and rich cream cheese placed on a mild buttery graham cracker crust. Simple and elegant bare, or dress-up with your favorite toppings. Thaw under refrigeration and serve immediately. Do not refreeze. A rich, flaky buttermilk biscuit, brushed with the subtle flavors of extra virgin olive oil, enwrap lightly folded eggs, Monterey Jack cheese, and sliced cured ham.